Karin Dahlman-Wright, Vice-Rector of the Karolinska Institutet in Sweden, is under misconduct investigation, initiated externally by University of Gothenburg. None of her papers under scrutiny is older than 10 years, yet the raw data does not seem to be available to all of them. Where it was provided, it doesn't always match the published figures. Karin Dahlman-Wright, former Rector (and now Vice-Rector) of the Karolinska Institutet (KI) in Stockholm, Sweden, is under misconduct investigation, after she presided over KI’s resolution of the Paolo Macchiarini scandal where whistleblowers were found guilty of research misconduct. After initial evidence of suspected data manipulation in one of her cancer research publications was posted on PubPeer by a reader of my site, I invited other experts to scrutinise the Vice-Rector’s papers. The combined rather extensive evidence was reported on my site. Also Johan Thyberg, emeritus KI professor and chronist of KI research misconduct scandals, contributed by discovering additional band duplications. Because KI saw itself unable to investigate such a senior executive in an unbiased manner, the University of Gotheburg took over, having just now successfully concluded a major case of research fraud, incidentally by a former KI researcher and soon a Gothenburg ex-professor Suchitra Sumitran-Holgersson. Thyberg was able to obtain the original gel scans Dahlman-Wright submitted to the investigative committee, and it is his analysis of which I publish below. None of the papers under scrutiny is older than 10 years, yet the raw data does not seem to be available to all of them. Where it was provided, it doesn’t always match the published figures. Another high KI official caught with fishy data in his paper was the rector Ole Petter Ottersen. In his case, it was an old paper from 1999 he co-authored, where the first author Maria del Mar Arroyo-Jiménez (now dean of the pharmacology faculty at Universidad de Castilla-La Mancha), refused to tell me who generated the offending figure with its triplicated gel lane. In this regard, KI dropped the issue as not their responsibility. The Dahlman-Wright case however is of a very different quality. The papers are very fresh, and they all come from the Dahlman-Wright lab at KI. “In the sad aftermath there are now attempts to finger the university management – the Rector Ole Petter Ottersen and Vice Rector Karin Dahlman-Wright – with accusations that they certainly are also guilty of research fraud. Karolinska Institutet (KI) has received a complaint regarding suspected research misconduct. Because the notification relates to a leadership person KI has turned to the University of Gothenburg with a request to investigate and register the case. Now the universities have signed an agreement that sets the framework for how to do it. – We will provide expertise and conduct an investigation, says Eva Wiberg, Rector of the University of Gothenburg. A report will be produced by reasoning and conclusion on the issue of scientific misconduct. The statement, when it is ready, will be turned over to the Karolinska Institute for further handling and decision. Still, the raw data is there. One now understands why the panel in Figure 1A was likely duplicated. 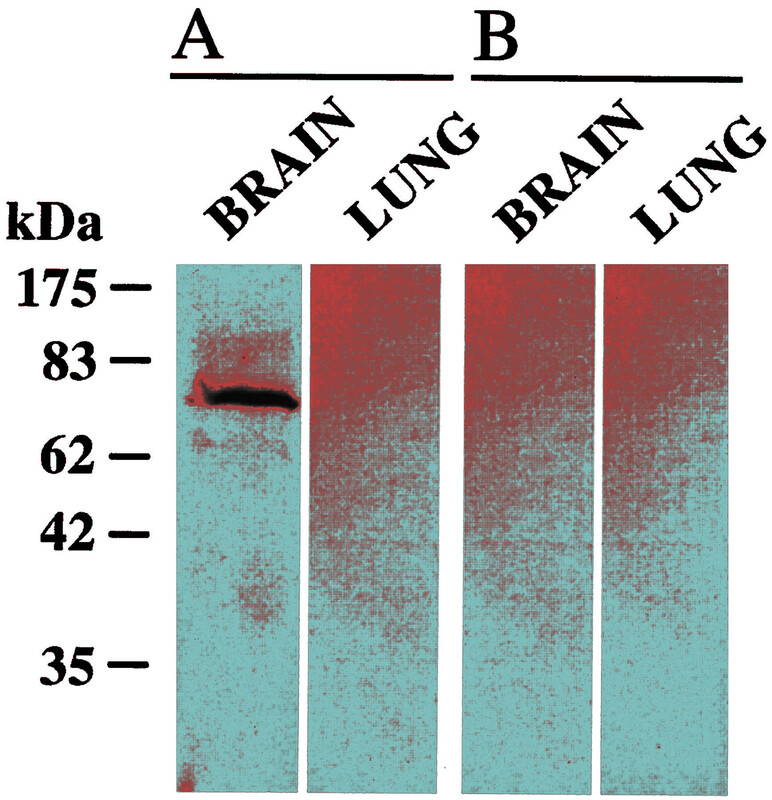 The figure shows various antibodies raised against the cancer-relevant estrogen receptor beta (ERβ ), with the anti-ERβ antibodies AP1A and AP2A showing same result due to the duplication (red box). As the paper explains, they both do not detect “the overexpressed ERβ by Western blot analysis”, which proves untrue once we see on the provided original gel what AP2A really detected: big fat specific-looking bands, which respond to Tetracycline (tet) induction. The LBD signal on the provided gel photo does not match what was published in the figure (blue box). Was it from a different experiment then? Same Figure 1 of Liu at al PNAS 2008, but now Panel 1B. The AP1A and AP2A seem once again to contain identical background areas (purple inset boxes), while the relevant blank area of the original gel doesn’t match in is background pattern. Is the labelling provided by Dahlman-Wright in a lab book excerpt correct? We also see that the authors removed two lanes where antibody 14C8 was tested, obviously because it is not mentioned anywhere in the paper, but they did not indicate the gel splicing in the figure. Also here, the 14C8 lanes were removed without indication of splicing, but the strangest thing is how a gel band for LBD beads was artificially moved down a tick. It may have a scientific relevance why the ERβ protein was slightly heavier (hence higher on the gel) under those experimental conditions, it may also be an artefact. But why digitally manipulating the western blot data? Basically, if authors saw the need to interfere with digital image manipulation in such minor instance, where else did they interfere, to adjust their results? For the Liu at al PNAS 2008, Dahlman-Wright provided 10 year old raw data. But not for much younger papers, like this Qiao et al Oncotarget 2015 study. The authors provided instead of the necessary raw data the same pictures of gel bands they already published. What the additional information is supposed to be here, is unclear. Thyberg however notices that same actin loading control was used for 3 different cell lines and different experimental conditions, once even flipped. Please refer to the full Thyberg’s dossier, for the larger picture. As aside, that paper was subject to a strange Oncotarget hide-and-seek game, where it was removed (along with some others) from the publisher’s website without a trace, and restored after complaints to the Editor-in-Chief Mikhail Blagosklonny, who declared to have no knowledge whatsoever of what was going on. Nothing to do with KI or Dahlman-Wright, just a confused scholarly publisher behaving very erratically. To ensure research integrity, Oncotarget temporarily removes papers under investigation or in dispute, updates are published when finalized. We have just pulled both of these papers and sent for image forensics. What is also obvious, is that the lower set of bands was used trice, in 2 different cell lines HEK293 and MCF7, and as signal for 2 different proteins: GAPDH and ERalpha. Without correct loading controls, all data becomes unreliable. There are other band duplications in Dahlman-Wright papers which Thyberg lists in his dossier. The Vice-Rector’s lab might be able to recover the required raw data, or maybe it never existed in the form it was published. University of Gothenburg has lots of work ahead, and KI should ask itself if maybe it has a general problem with research integrity, even if one for a moment forgets about their past cover-up of Macchiarini fraud. There are internal misconduct investigations at KI which led nowhere or to an embarassing whitewash. The only thing where Karolinska leadership, past and present, proved itself highly efficient so far, was harassing whistleblowers. Update 5.09.2018. In a related case, the KI Rector Ole Petter Ottersen was freed of suspicion of scientific misconduct. By this announcement, KI admitted what was until now a secret: that Ottersen was indeed responsible for this offending figure with a triplicated gel lane in a collaborative paper Arroyo-Jiminez et al 1999. But because such data manipulation is now officially declared to be good scientific practice in France, the Pasteur Instittue found nothing even blameworthy here. “On July 19 of this year, the Karolinska Institute received a notification of a suspicion of misconduct in research directed against Karolinska Institutet president Ole Petter Ottersen. The notification concerned a scientific paper published in the Journal of Neuroscience nearly 20 years ago (1999), where Ole Petter Ottersen is co-author. The registration attracted attention because several Swedish and Norwegian media connected this notification with the misconduct decisions the rector has taken on June 25, 2018 in the so-called Macchiarini case. The research on which the article in the Journal of Neuroscience is based, has not been carried out at KI, which means it can not be investigated here. Therefore the notification was dismissed. KI made contact with the research organization, the Institut Pasteur in Paris, to check if there the article in question can be investigated on whether it could be considered research misconduct. ”In our opinion, the analyses of the data does not support the allegation of scientific misconduct”. Science by photoshop again…mankind stands in front of huge challenges and we set hope to science to solve them. Science that over and over again show scientists with results that are fake. It is of the utmost importance to support people like you that have the knowledge and the ethical driving force to stop fake science. Society need to build up a strong control mechanism with insights in the specific topics.The money already exit for that, use 10% of the research budget.